Out of Boredom Comes Brilliance! Today I thought I’d share something my friend Linda once shared with me. 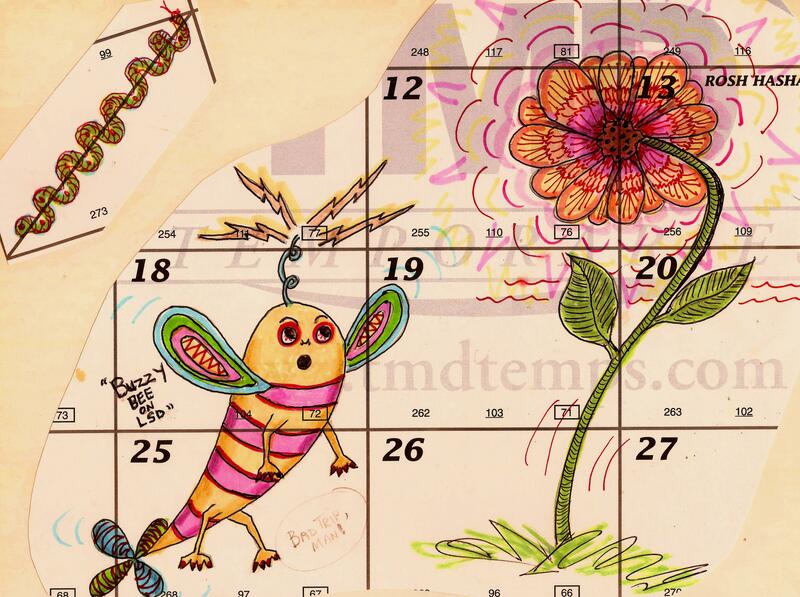 Linda Hottel used to doodle on her calendar while working the phones of a 9-5 job. Linda is a talented professional artist with a wonderfully creative imagination. Combine that talent with a little work-related frustration, and the results here are just gold. Too much cool to call! What beauty a wandering mind can create. Thank you Dan for the intro to Linda and her work. Absolutely! …Lol, her calendars ought to be, er, …calendars. It was those characters that made me want to post this. Not from ‘Eureka’ but from ‘WTF!? !’ …which as I recall is close to some famous quote on the subject. fWow-nothing like any doodle I ever saw! Or did. I love this art! Click on the pictures to enlarge them. Very nice work! Love the flowers and the owls…in fact all of them are charming. Good work Linda!